My blog post today has nothing to do with the The Temple of the Exploding Head book series, I just feel like telling a (mostly) true story. I come from the south-coastal bend of Texas, even today a rather remote and forlorn place. In the old days it was, quite literally, the backwater of both the United States and of Mexico, far away from everything. My Doctor cousin’s reply was predictable–he said “no”. Since the chest was found on his land, it therefore belonged to him. He thanked them for their back-breaking labor in uncovering it and bade them get back to work, minus the chest of treasure. Gold has the power to divide men, and soon my cousins were in a heated argument over the chest. Soon things began to get out of hand. Soon the Sheriff arrived, and that’s when things got really bad. 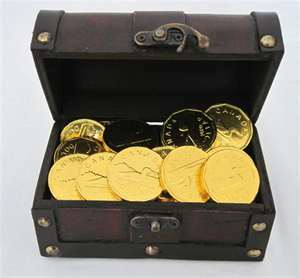 The Sheriff impounded the gold until it could be determined who was the rightful owner, and there were no shortage claimants. –First were my two cousins: they dug it up after all. It should be theirs. –Next was my Doctor cousin: The gold was found on his land, it therefore belongs to him. –The State of Texas stepped in, claiming the gold was a mineralogical find and therefore belonged to the state. –A group of claimants from Camargo, Mexico came forward. 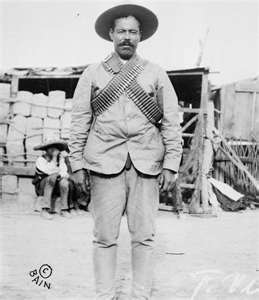 They claimed their ancestor rode with the great Pancho Villa, drinking, stealing and killing in the 1800’s. They claimed their ancestor stole that gold fair and square from a Mexican bank and buried it, never to return. Their ancestor stole the gold, and therefore it belonged to them. –An insurance company based in Tobasco, Mexico popped up. They argued they had paid an insurance claim for that lost gold in 1876, and to recoup their loss, the gold was theirs. –The Bank of Mexico stepped in. Clearly, the gold belonged to them as it was stamped on the coins. The legal wrangling over the gold had just begun. Meanwhile, the site where the chest had been taken became plagued with supernatural activity. Ranchers in the area saw and heard La Llorona, The Weeping Woman, a fixture of latin folklore–a lost woman who had drowned her children in order to please her love and was prevented from entering heaven. The Weeping Woman is said to appear in places of strife and conflict, looking for her lost children with gouged-out eyes And, there she was, gliding on ethereal light. She was even said to have been seen peering through the windows of the Sheriff’s Office. Eventually, ghost or no ghost, the gold seemed to have disappeared from the Sheriff’s Office, though it was recovered later by investigators from the state. The gold was ordered divided up between all parties involved and wasn’t enough to cover the legal fees that had been incurred. 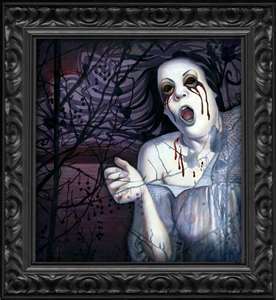 The wooden box was returned to the hole in the ground where it came from in an attempt to appease the Weeping Woman. It must have worked, for she vanished back to the dusty bowers from whence she came. As in all things, golden booty does little except stir up the ire of men and all the old ghosts that come with it.